People think that soulmates have something to do with romance, but I know they are wrong. Since I was two years old, I have always had a best friend. I have many friends, and I love them, but I always have that one person who is my anchor, my female confidant, my person. My heart needs that friendship as deep as the ocean, the one that you can turn to without doubt or hesitation. The one that you can turn to when you cry because you dropped the frozen pizza face down on the oven door, or when you need to send a series of 15 snaps ranting about something, and who will understand when you’re fine two minutes later. The first phone call or text you make when grief hits and life stands still. That person you text as you prepare to pull out of their driveway after a whole night together - "I miss you. Why don't we live together??" Our connection is inexplicable to me, some supernatural, sparkling path that leads from my heart to hers. Sitting down to write this is hard, because for all of my vocabulary and for all of my experience with caging my emotions in words on a page… this one feels wild and un-containable. Being in the same room is like the eye of a storm. Life never stops around us, but for a few hours, it can’t touch us. In your lifetime, you may meet a handful of people who nurture your spirit and fill your bucket so completely. This is a cavernous love, the kind that you feel in your core, whose memories alone are enough to bring smiles and tears. Hugging is dangerous because it’s like a living security blanket – the appropriate time for a “normal” hug passes in seconds and sometimes I just don’t want to let go. I have met a lot of people in my life whose energy clashes with mine, and this is the opposite of that, currents that merge and play instead of colliding. Neither of us remembers how we became friends. We both remember the first time we met, but how we went from friendly hellos that night three years ago to where we are today is a mystery. Surely it is part luck and part destiny, and part the encouragement and support of our wonderful partners who seem to recognize that we need each other. In a way, I love the fact that I can remember a time without her, because it makes me excited for all the time we have left as friends. She makes sense to me, and she Gets me in that big G way where you can be completely yourself and never wonder if they know what you mean or whether you’re joking. We can cry together and laugh together, make the worst jokes and puns to each other, be terrible and amazing and witty and sometimes we don’t have to say anything at all. We can tell our truths without judgement, knowing that there are not rules, no right way to get through the moments we need to get through. When our hearts are breaking, we are each other’s caves – that warm, dark space you crawl into where the world can’t see you, but your people can. Few people exist with whom you can seamlessly navigate the quiet buzz of grief intermingled with the humorous and mundane. But that is life – and those relationships that mirror it feel the most natural of all. I don’t mean for this to read like a love letter, but in some ways it is. Because if I made a list of the people I love most in this world, she would be near the top. 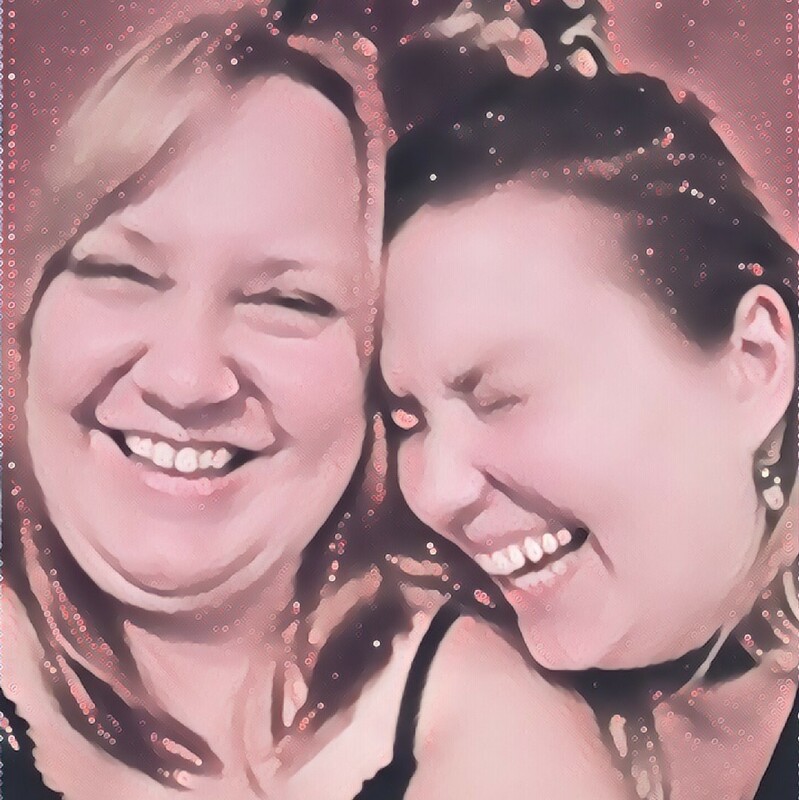 I imagine us growing old together in the same way I do with my heartmate, and think about how we will either be the Cool Grandmas or the Embarrassing Grandmas, but either way, it’s going to be fantastic. In my mind I know that we haven’t always known each other, but in my heart it seems impossible. Speaking of my heart, I tend to give out pieces of mine, which is a dangerous game. On the other hand, when you find the right people to hold those pieces, the love you gain access to is almost infinite. When the end of the hours that never seem like enough comes, I leave a piece of myself behind, and know that it is safe.